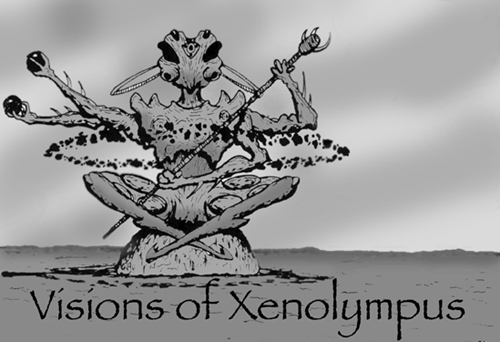 In 1989 Brian Kirk (founder and visionary of Moot Comics) and myself collaborated on a small press calendar called VOX: Visions of Xenolympus. It was a National Geographic-styled pictorial of an archeological expedition to a long lost world. It gave Brian and myself a chance to give our weirdness neurons a work out. I have decided to expand on that work for this web project.